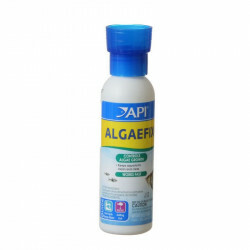 Aquarium Pharmaceuticals Aquarium AlgaeFix is a revolutionary product specially developed to control many types of algae in freshwater aquariums containing live plants. This easy-to-use solution clears water fast without harming fish or plants. 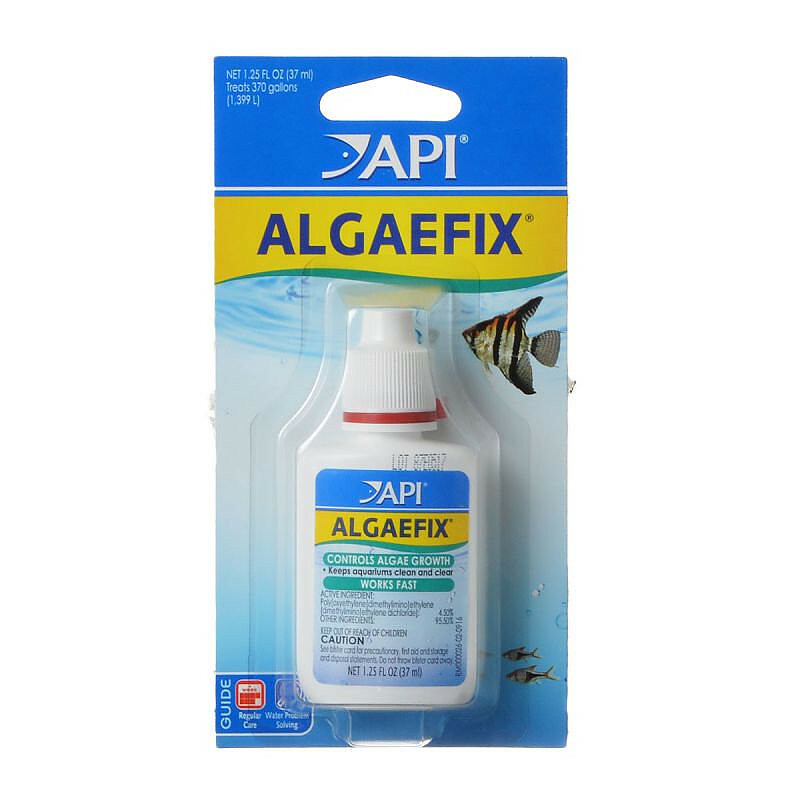 AlgaeFix controls many types of algae, including green water, blue-green, black beard, string or hair, and blanket-weed algae. Colorless and non-corrosive. Do not use AlgaeFix with crustaceans, including crabs, shrimp, freshwater shrimp and freshwater lobsters. NOTE: Directions are specific to the individual package size and dispenser design. Follow the directions on the package for dosages. Active Ingredients: Poly Oxyethylene, Ethyl ENR, Ethylene Dichloride. 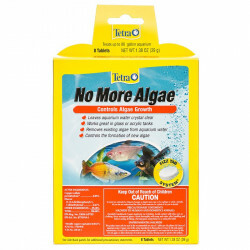 I got this product for my brothers 10 gallon tank that had free floating algae bloom. I dosed it as directed on the bottle and in 6 hours the water was crystal clear. It has now been a week and the water remains clear. Very satisfied with purchase! This is exactly the product I was looking for! 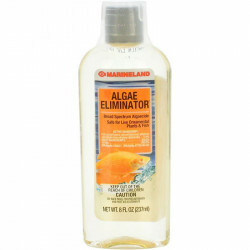 Many anti-algae products will also kill your plants. Having an aquarium that is stocked with live plants, I needed one that didn't. 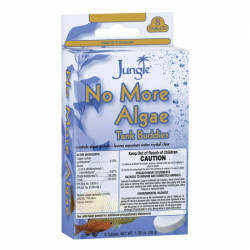 This is the algae product for me! It works amazingly well for green water algae! This product is absolutely amazing. My tank has had serious green water issues for almost 3 months. We have reduced light usage, multiple water changes, even draping the tank. I put 20 drops in my 17 gallon tank (14 drops per 10gal) and within 6 hours the tank was almost completely clear!! It has been a week and still looks great. Fish are totally fine and very happy. I'm happy too, it was so green we couldn't see them at all! I would dismiss the other comment about killing fish. There are two products, one for marine and one for freshwater. Either they used the wrong one or too much. It must be strong because it worked so well. it works great in treamenting agleal. i was very pleased.